Sun Wheel Ferris wheel attraction at Paradise Pier at Disney California Adventure; opened February 8, 2001. Huge A-frame struts hold a giant, 168-feet-in-diameter wheel that takes passengers for a ride in gondolas, some just swinging but others zigzagging toward the hub in a perpetual state of centrifugal excitement. 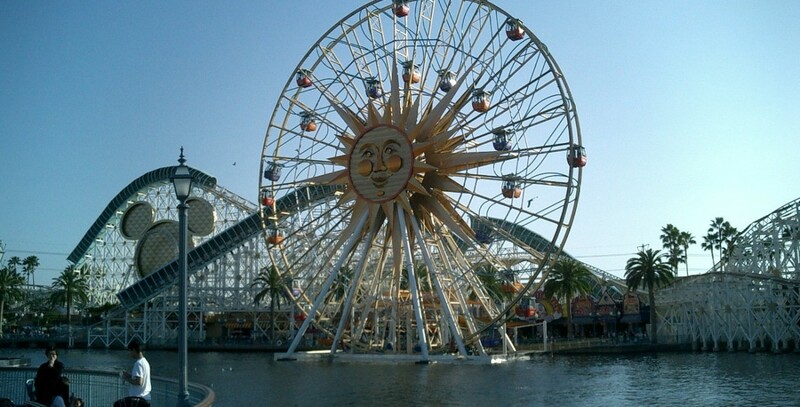 It closed on October 13, 2008, to be remodeled as Mickey’s Fun Wheel, opening on May 4, 2009.